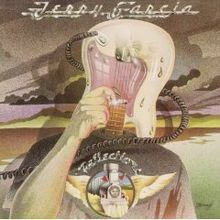 Though Jerry Garcia and the Grateful Dead folk who accompany him here all possess great talent, this self-titled LP may be the worst of the guitarist’s solo discs. The performances, most of which sound too much alike, are laid back to the point where you begin to wonder whether the band might literally be sleeping on the job. Included: an enervated reading of Robert Hunter’s “It Must Have Been the Roses”; a plodding, overly long version of Allen Toussaint’s “I’ll Take a Melody”; and “Might as Well,” a simplistic Hunter/Garcia riff. Save your dollars for the Dead, whose present work is considerably more alive than this.